NOTE: In the time since this was first published, Globe Salon has opened a second location in Rampart Commons at Summerlin. Many of our suburban guests still prefer to visit us at our Downtown Arts District location, but we are also seeing many brand new guests who like the convenience of our Summerlin salon. Uptown or Downtown, we are here for you! Interesting Tidbit: Most Globe Salon guests drive to our Downtown location from the Las Vegas and Henderson suburbs. At least half of those come from Summerlin and the northwest. They choose Globe Salon because we offer something nearly impossible to find in Las Vegas salons: consistency and accountability. Globe Salon is a service-focused luxury hair salon. We’re a high-end boutique with an experienced, educated and hand-selected professional staff, not a 50-chair cattle call. 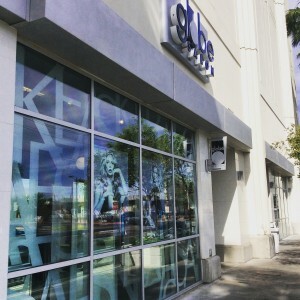 Along with being named to the “Best of” lists of numerous local publications, we’re one of just a handful of Nevada salons honored by Elle on its list of the Top 100 Salons in America. Twice. Style bible Black Book selected us for inclusion in their Las Vegas Guide, and W Magazine spotlighted our efforts during the MAGIC fashion convention. None of this is easy to achieve. But with hard work and dedication to elevating the salon experience for both guests and our team, we have done it. Opened in 2000, Globe Salon has been in the Soho Lofts tower since 2008. You have likely heard about the revitalization of Downtown Las Vegas, but you may not know about Downtown’s decades-old Arts District. It’s here, away from the nightlife of Fremont East, that an authentic local scene is growing, driven by passionate entrepreneurs who put everything on the line to serve you and do their part to build a wonderful Downtown. And it’s here, just 15-20 quick minutes from your Summerlin home, where you’ll find Globe Salon, part of the respected Kerastase and Bumble + Bumble salon networks. We’re staffed with several native Las Vegans, and we understand that the Downtown experience is new for some of you. Many people say their hairdresser is like a therapist; our staff is also your Downtown concierge, pointing you to all the places you’ll want to see. Plus, we take care of everyone from some of the city’s top attorneys and executives to some of its flashiest bartenders and entertainers. We serve as many men as women, and everyone gets a relaxing shampoo in our exclusive massaging shampoo chairs. Choosing a salon can be intimidating, confusing and misleading. We haven’t counted, but we’d guess there are hundreds of salons in Las Vegas, and thousands of hairstylists. What makes Globe Salon stand apart is simple and significant: Our hairstylists are professional experts accountable to Globe Salon’s respected guest-centered standards. No excuses. Ready to give us a try? Enjoy 30% off your first visit with Globe Salon. Just show proof of your Summerlin residency and we’ll take care of the rest. One visit is all we ask. One visit is all you need. We’re minutes away but world’s apart when it comes to service. Put simply, Globe Salon has thrived for 15 years not only because we are great at what we do, but because we’re are all about you. P.S. Worried about parking? Don’t. Read this instead. Google shows the best salon in Summerlin is just 17 minutes away… in Downtown!